Doctor Who: Remembering REMEMBRANCE OF THE DALEKS | Warped Factor - Words in the Key of Geek. Dominic Fellows remembers Remembrance Of The Daleks. October 5th 1988, a small boy sits with his family in their small house watching the images on the small screen. He wonders ‘just what is inside those white and gold machines?’ He's confident that by the end of the show he will have seen. The hero of this story, The Doctor he is called, makes contact with one of these creatures. But something is different, the beast doesn’t talk like the others, his voice is more human. Could this be the moment? The boy wonders excitedly and then with perfect timing the top of the machine slides back and reveals what he has waited so long to see. ‘Davros!’ Exclaims our hero. The boy has no idea what a Davros is, but he is excited, do all these creatures look like this on the inside? He watches the rest of the episode play out and he is thrilled to bits, he can’t wait to watch it again next week. And this is the moment I stopped being a ‘normal kid’ and became a ‘geek’. 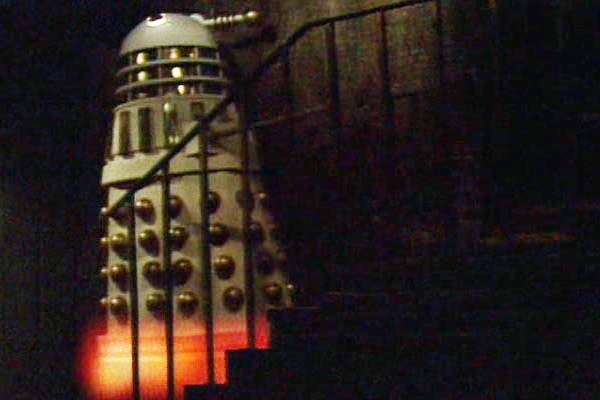 But what more is there to be said of ‘Remembrance of the Daleks’? Regarded as a classic since broadcast, every fan has had their say on this one. I suppose the question would be ‘why do we all agree?’ I can only recount my personal reasons for loving it and see if that answers the question. There’s the story. It really isn’t that much superior to a lot of others of this period; in fact it has much in common with ‘Attack of the Cybermen’ as far as continuity is concerned. ‘Remembrance’ goes one step further though by referencing other shows, most notably Quatermass. And yet unlike much other eighties Doctor Who it is praised rather than derided for this approach. So why do we forgive ‘Remembrance’? Personally I think it’s all down to presentation. Each reference is cleverly woven into the fabric of the story in a succession of throwaway comments. As a child and casual viewer in 1988 I wasn’t put off by theses references, in fact I didn’t notice, I was too busy being wowed by big explosions. 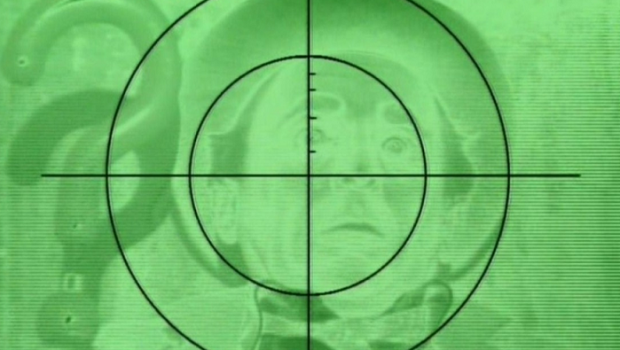 Speaking of presentation ‘Remembrance’ is the first big budget Doctor Who. Dispelling the myth that Doctor Who was low budget (it wasn’t, it was given the same money as any drama show) and taking into account that ‘Remembrance’ went massively over budget, so massive that director Andrew Morgan was told he would never work on the show again, this is easily the glossiest production of Who at this point and it shows. OK it’s not as glossy as today and the all video-tape look tarnishes it slightly but Doctor Who had rarely looked better than this. Leaving us with a genuinely engaging story with multiple layers, richness and depth with enough crash/bang/wallop to entertain those with the least critical faculties (I was four). Doctor Who has always either been ‘entertainment for the kids’ or ‘a British institution to be picked apart and analysed by the most die-hard devotees’. ‘Remembrance’ is possibly the only story that successfully manages to be both. I love ‘Genesis of the Daleks’ and ‘Caves of Androzani’ as much as the next fan but I would never show them to my four year old. Ignoring the fact that they are both incredibly dark, neither of them has enough superficial excitement to hold a child’s attention. There are certain stories, like ‘Timelash’ and ‘The Twin Dilemma’ that press all the wrong buttons. To this end, ‘Remembrance’ presses all the right buttons, managing to tell a good, solid, original, futuristic story with a period setting, enough nods to the past (and other shows) to add texture and depth to the proceedings that are not intrusive so as not to alienate the non-fan, while all the time adding enough new elements into the mix and moving the series forward creatively. ‘Remembrance’ isn’t a classic in the same sense as something like ‘Blink’, which is a standout episode but not something that should really be repeated, it is a classic in the sense of ‘if only every episode could be like this’. To my mind it’s as close to perfection as Doctor Who ever got. 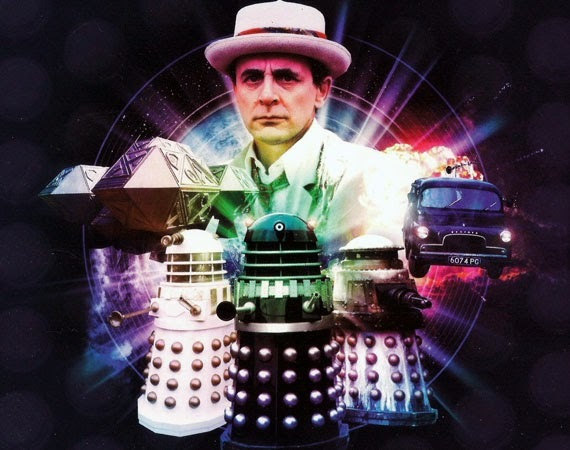 Have you voted for your favourite Dalek story yet?